Last week the CWHC’s National Bat White-Nose Syndrome Coordinator, Jordi Segers, met with a select group of bat disease experts at the Cranbrook Institute of Science in Detroit, MI to develop a risk and decision analysis for aiding bats in their battle against the deadly fungal disease white-nose syndrome. 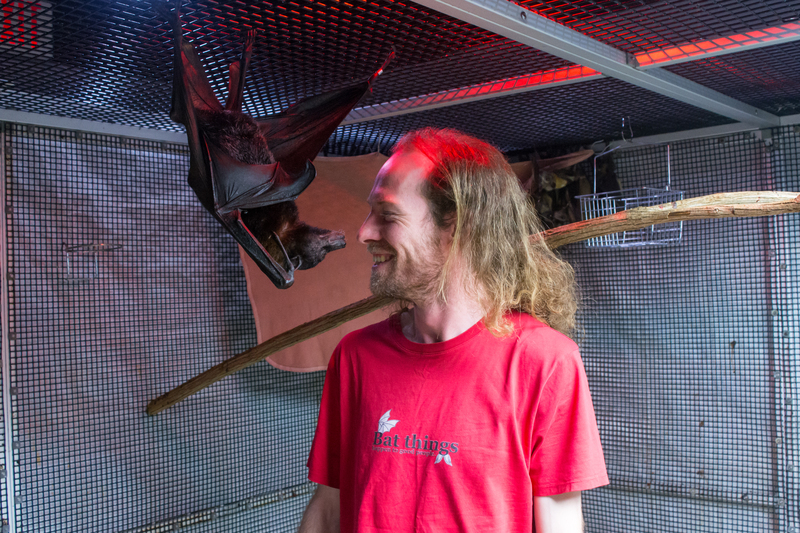 While there, Jordi got to meet some exotic bat species at the Organization for Bat Conservation’s ‘Bat Zone’. 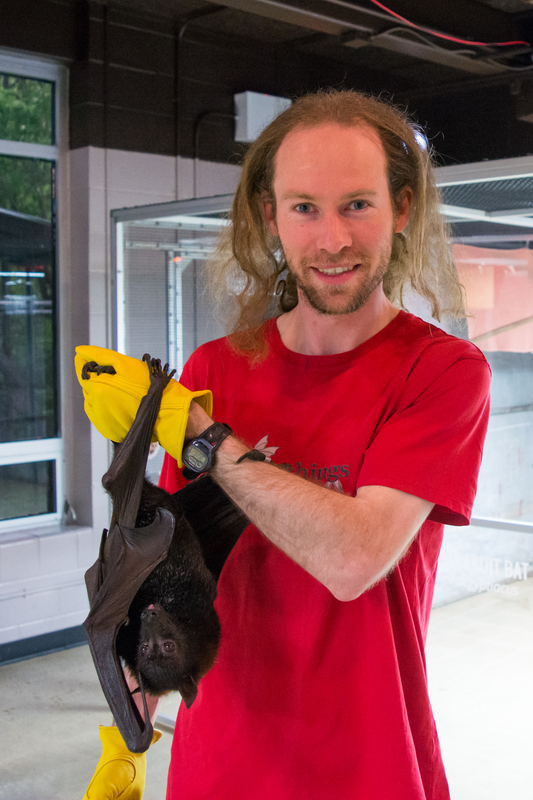 This is Kamilah the Malayan flying fox, one of the largest bat species in the world.